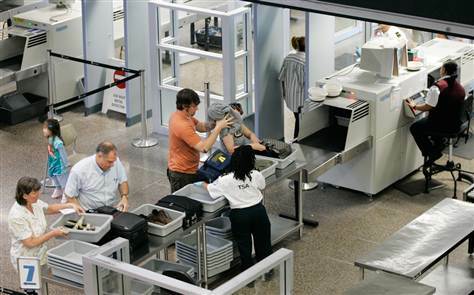 The TSA, Transportation Security Administration, sets and enforces the rules for air travel in the United States. 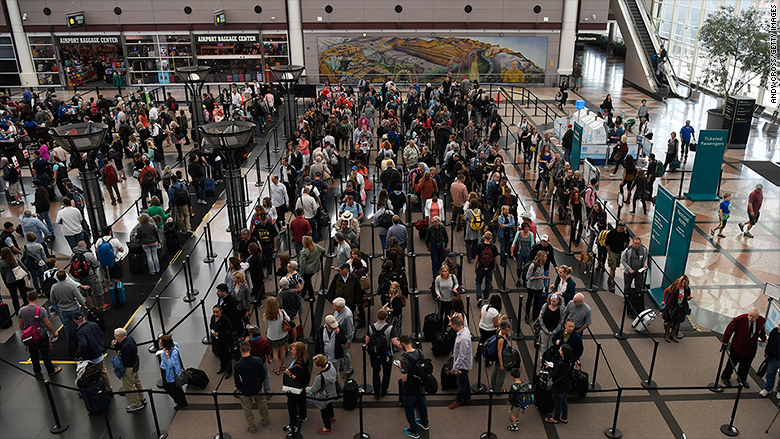 Airport security is a necessary evil and the lines can be incredibly long at major airports. The more prepared you are, the faster you, and everyone else, will clear security and get on with your travels. Your shoes, so wear slip ons if possible. Sweaters, jackets and other outerwear. Large, bulky jewelry or belt buckles, these are easy to forget at security so consider packing them or leaving them at home. If you are taking your laptop, you must remove it from your carry on bag as well as its case and send it through the x-ray machine separately. Pack this on the outside of your bag for easy access. Security agents can open and go through your carry on bag, so put small things in zip lock bags or other containers so they don’t get lost. Liquids are permitted in small containers, see the 3-1-1 rule below before packing your bag. When traveling on any domestic or international flight, you are allowed a limited amount of liquids and gels in the cabin of the airplane. You can pack more of these items, in your checked luggage, the 3-1-1 rule applied only to carry on bags. 3 – Passengers are limited to using containers no larger than 3.4 oz. for their liquids. 1 – All containers of liquid which must be placed in a 1 qt., transparent, plastic, sealable bag. 1 – Each passenger may have only 1 bag for liquids. You can bring as many 3.4-oz. containers as you can fit in the quart-sized bag when it is sealed. This bag of liquids must be taken out of your luggage and presented at the security checkpoint. On arrival, go to your airline check-in counter. You will be asked to check in at a kiosk or with an agent. In either event you will need your passport, so have it out and available. You will receive your boarding pass(es) with seat assignments. This is also where you will tag and leave your checked luggage. Your luggage will be checked through to your final destination. Your next stop is the security checkpoint. Keep your passport and boarding pass handy as you will have to show them to the agent as you enter the security line and also when you get to the head of the line for clearing security. Once you are at the conveyor belts, place all of your items directly on the belt or in the provided containers. This includes: your carry on bag, shoes, purse, sweater/jacket, belt, quart bag of liquids, jewelry that might set off the alarm and your laptop. Your laptop must be removed from your carry on and placed in a separate container to go through the x-ray machine. Once all of your items are on the conveyor, you will be asked to walk through the x-ray machine. If any metal is detected you may be asked to go though additional screening. 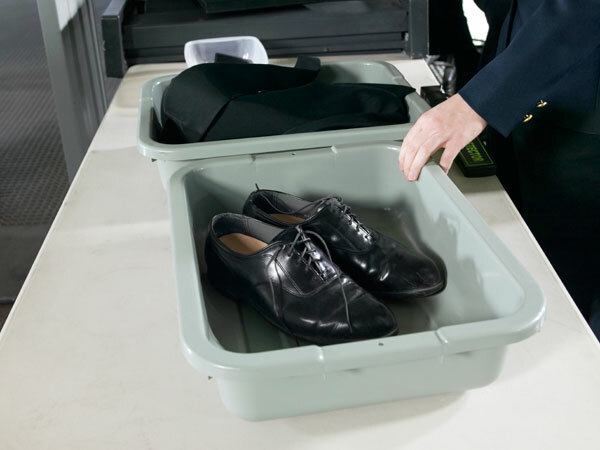 Once you’ve been cleared, put your shoes on and check for any items you may have left in the containers or around security before heading to your gate for departure. 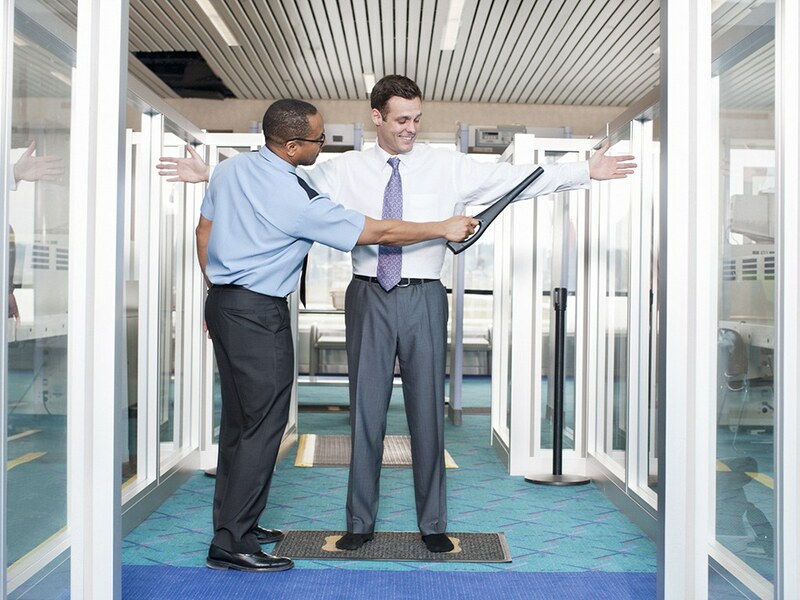 There are a couple ways to speed up the airport security process, but they are not for everyone. If you travel frequently and use the approved airports on a regular basis you might want to check on the TSA Pre Check or Global Entry programs. Remember that airport security is for the safety of all travelers and is taken very seriously. Do not joke with agents or other passengers, at any time, in any airport, about topics that can be taken as threats. The mention of bombs, guns, terrorist activities or other security topics could at best, delay your travel and at worst, land you in jail! The TSA website gives you detailed information on airport security.